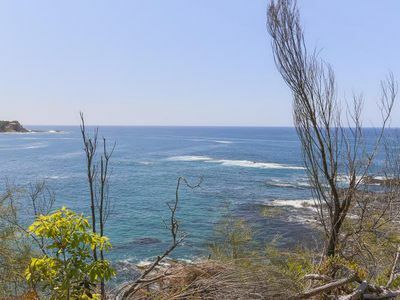 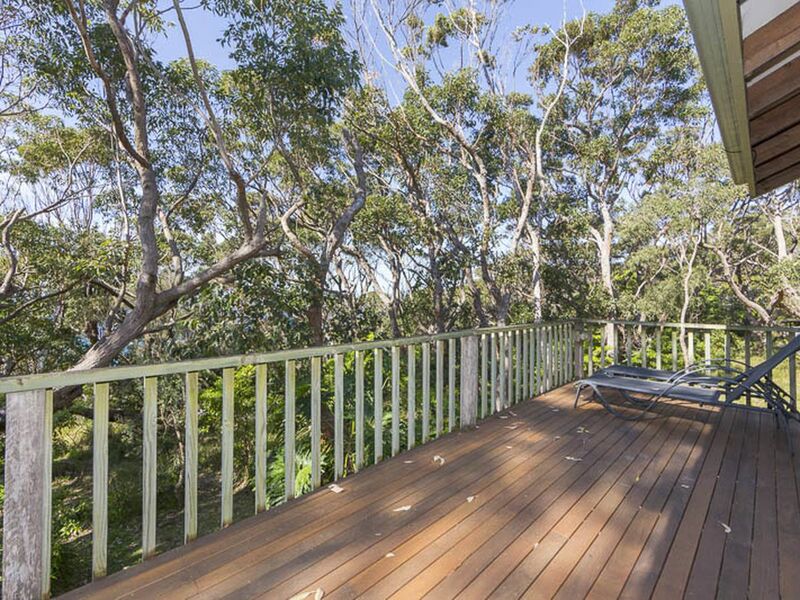 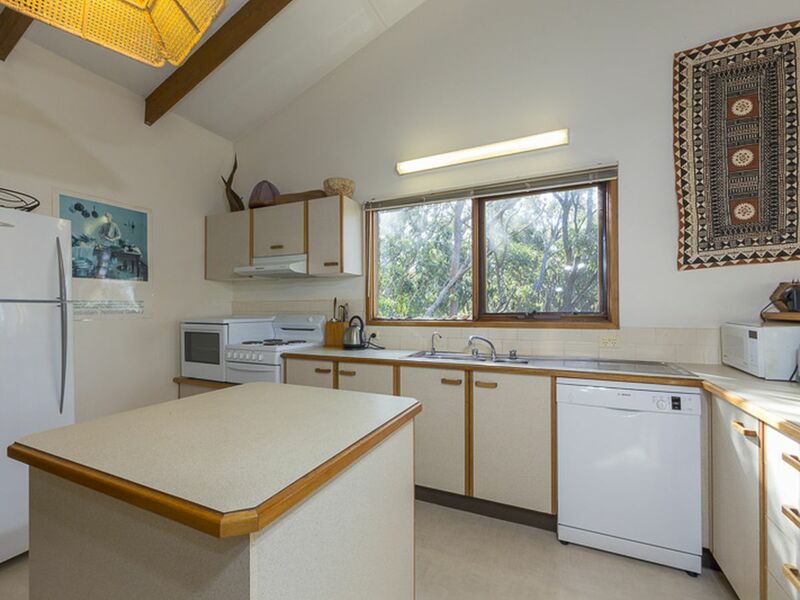 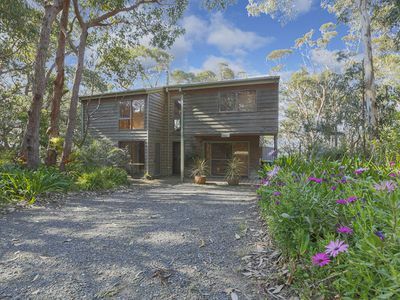 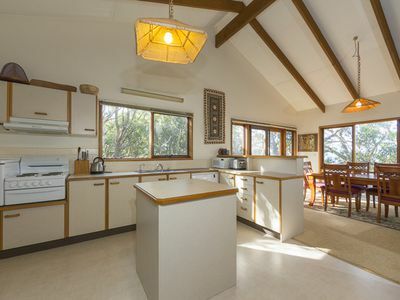 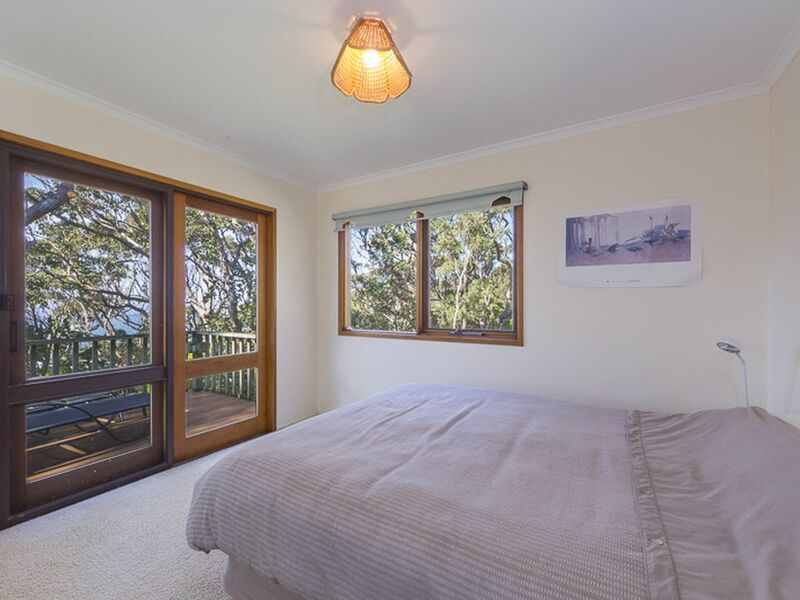 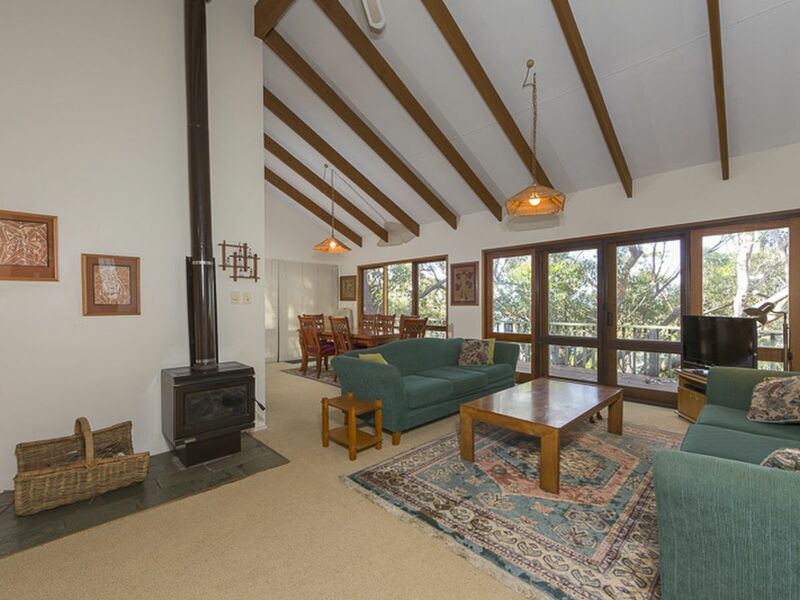 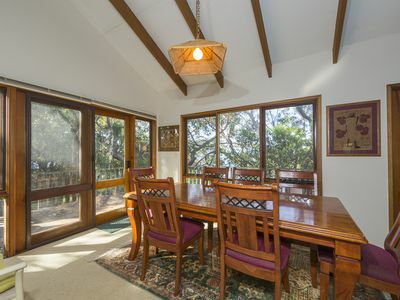 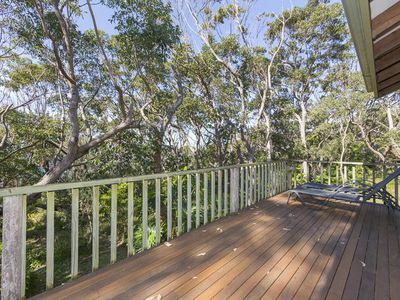 Come and visit this wonderful family home, nestled in the trees with a fantastic view from many positions in the house. 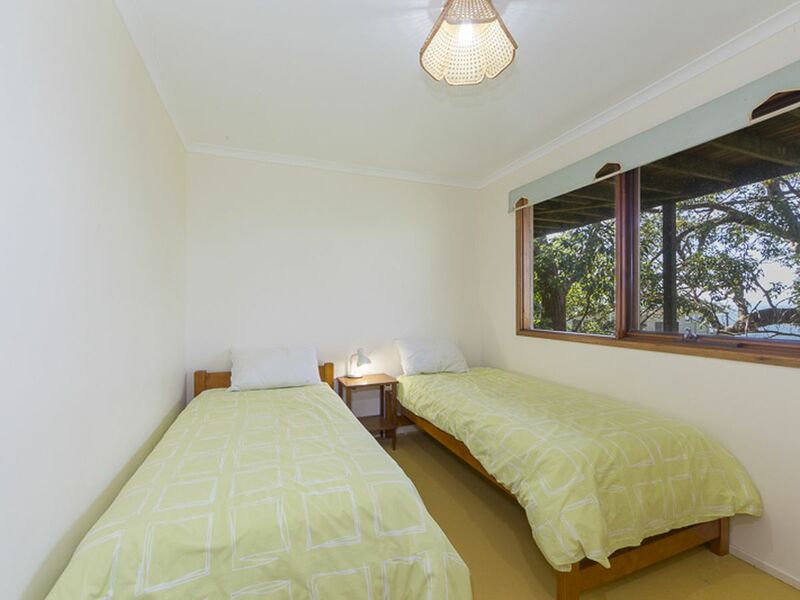 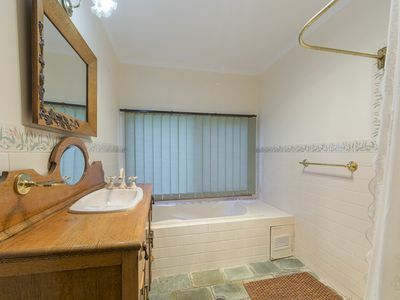 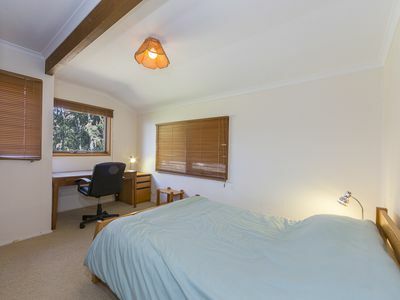 Two bedrooms upstairs and three downstairs, there is plenty of space to relax. 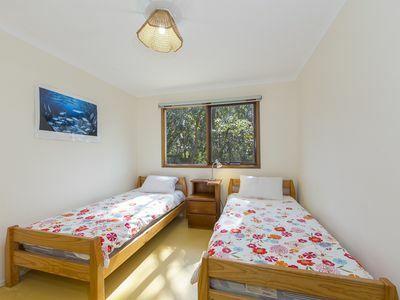 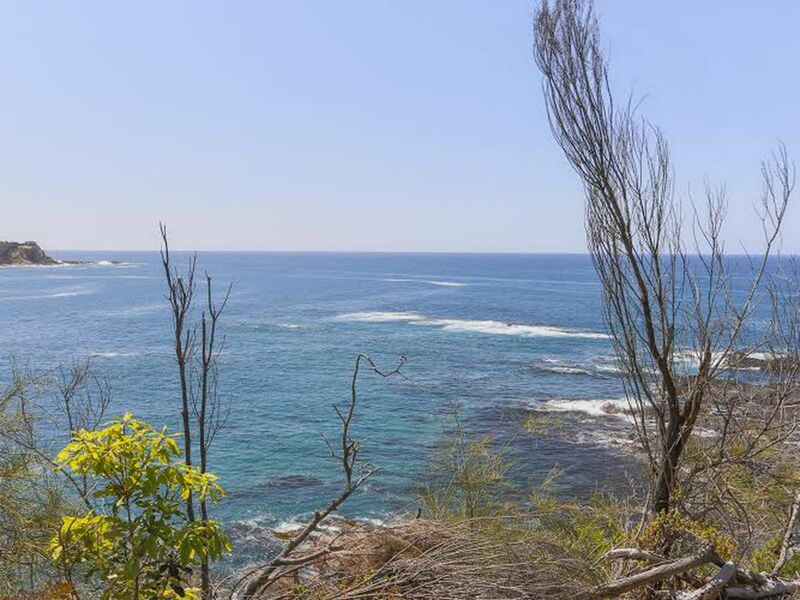 The children can explore the outdoors and many walking tracks to the beach areas below. 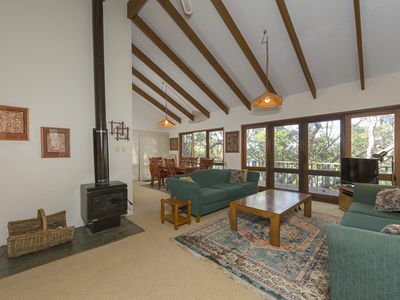 Downstairs has a large living area, leaving the upstairs formal living for the adults. Please note 1 bedroom downstairs (queen bed) is not internally accessible to house - guest must walk through decking area to enter house.